KCCC is a parent-managed centre whose parents are members. The members appoint the Board of Directors of the co-operative. The board has a governance role and sets the mission, vision and strategic plan for the centre. The board also appoints the General Manager, who is responsible for the management of the centre. KCCC is a member-based co-operative, which is a legal entity similar to a company. However KCCC is a not-for-profit organisation and its accounts are independently audited and filed annually with ASIC. The quorum for a board meeting is five of the nine board members. Felix has been on the KCCC Board since May 2015. 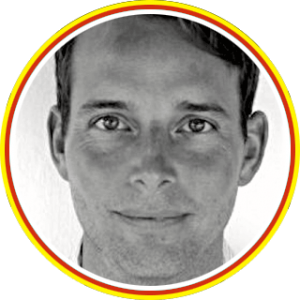 Shortly after joining the board, Felix took on the position of Treasurer which he held until late in 2017 when he took on the role as Chair. 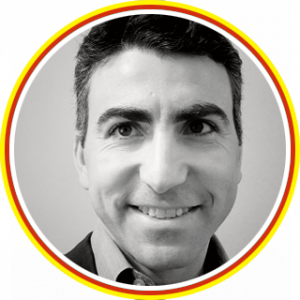 Born in in Hamburg, Germany, Felix studied international business and economy and has worked in the petrochemical industry for over 20 years in Europe, the USA and for the last 7 years, in Australia where his wife Sarah grew up. Felix loves the community feel of Kensington which he calls home and sees the KCCC as an integral part of it. Being able to participate and contribute to the Kensington community has been the main reason he joined the Board four years ago. He feels privileged to work with the Board and KCCC team and is proud to see all the progress that has been made over the recent years. Jacqui is a mother of two children at KCCC, Annika and Elijah. They have been members of KCCC since April 2015 and couldn’t be happier with KCCC for their children. 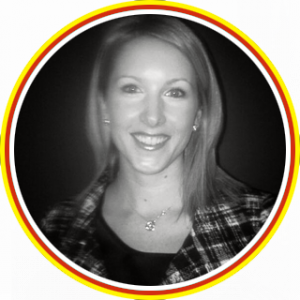 Jacqui is a teacher at Clifton Hill Primary School and previous to that taught at Sunshine Harvester Primary School. 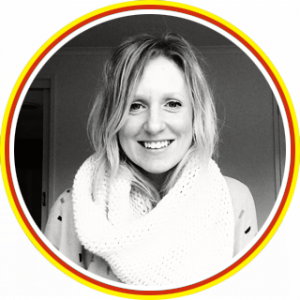 Being in education for more than ten years and previously as a nanny overseas and in Melbourne while studying, Jacqui is passionate about children and their learning. She strongly believes in the learning through play model. 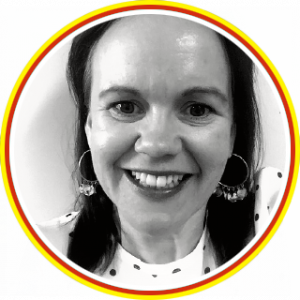 Predominantly Jacqui has worked in the early years of education, being a Prep teacher for many years and being involved in and leading kinder/school transition programs. Jacqui’s expertise in school settings include being the treasurer and secretary for an AEU (Aus. Education Union) sub-committee, taking and distributing minutes for staff meetings, organising and running professional development for staff and holding leadership position in Literacy and Numeracy coaching. Jacque has presented at a conference in QLD at QUT on an adapted numeracy PMP (perceptual motor program) and drafted, written and edited scope and sequences for literacy and numeracy, and is familiar with the Early Years Learning Framework. Jacqui and her husband have lived in Kensington for over ten years and have embraced the Kensington community life. They feel honoured to live in such a close and caring community who look out for each other. Scott and his family have been a part of the KCCC community since 2011 when their eldest son Jay joined the Waratah room as a three-year old and their second son Tom joined the Yarragum room as a ten month old. Their third son, Max, has followed in his two brother’s footsteps and is a currently in the Gumnut room. Scott and his wife Carla have always been so appreciative of the wonderful care and learning opportunities that KCCC provide. They are confident that when at the centre their children will really be cared for and, they will have fun. Scott volunteers his services to the KCCC Board to ensure that his family and many others like his in the wider Kensington community can continue to enjoy all that KCCC offers. 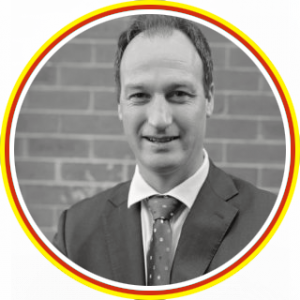 Scott has worked in large organisations in accounting & finance, auditing, banking and superannuation. As a qualified Chartered Accountant, he works to support Senior Leaders, Audit Committees and Boards in reaching their strategic objectives. His experiences have also included internal and external audit, risk, statutory and regulatory reporting, management accounting, board reporting, finance operations, asset and inventory management, business planning and forecasting, tax and business partnering. Outside of work, Scott enjoys spending time with family and friends, playing golf and actively participating in the community. Scott older boys now attend Holy Rosary School and needless to say the Tatulaschwili family are also active member of the school community. Morelle Bull has been a member of KCCC since 2013. She lives in Kensington with her husband Ed and their three children – Will, 6, (KCCC alumni), Pete, 4, (alumni) and Claudia, 18 months. They moved to the area in 2008 and Morelle strongly values the community vibe that makes Kensington a great place to live. Since graduating from uni in 2004, Morelle has worked in a number of professional roles. She commenced her career as an economist, transitioned to being a lawyer and is now a business manager. Morelle is the National Manager of retail partnerships at Australia Post. In this role, she is responsible for managing the almost 3000 licensed post offices. Morelle has a passion for working with organisations that assist children. She is currently chair of the board at Kids’ Own Publishing (KOP). KOP is an organisation that aims to improve children’s literacy and love of reading, particularly children in indigenous and disadvantaged communities. She is also involved with the Committee of Management at St Kilda Mums and a member of the Finance and Risk Assessment Committee and the Governance Committee. Morelle has also been involved with a number of KCCC committees, a member of the Fundraising and Community Engagement committee in 2014 and 2015. While on the committee, Morelle played a big part in re-establishing fundraising events, most notably the trivia night. In 2018 Morelle was a member of the Quality Improvement Plan (QIP) committee and joined the Board in 2018. Outside of work and volunteering, you will find Morelle on a netball court or walking around the streets of Kensington pushing a pram while balancing a coffee in one hand, and a scooter in the other. Caroline and her family joined KCCC in Jan 2016. Her children Bea (Appletree) and Joe (Wattle) love the educators, environment and activities that KCCC provides. Maggie (Alumni) who has started prep last year loves coming back to KCCC to pick up her siblings and give her former educators a run down of her day. Between wrangling three young children Caroline works as a lawyer for a small law firm in Niddrie. Her work revolves around helping people with making their wills and assisting with probate applications. Her favourite part of her job is chatting with her clients, administrative staff, café owners and anyone who will listen to her. It’s a juggle, and the balls often drop, but thankfully she had the good sense to marry a Scotsman who is an excellent cook, so at least the kids are well fed and talented highland dancers. Caroline joined the Board in 2018 and has been valued member of the KCCC board. Caroline brings a wealth of knowledge and skill to the board and is keen to continue to contribute. Meg Terrill is a corporate unicorn; equal parts sparkly marketing maven and boring finance geek. Her left and right brain strengths are constantly duking it out for dominance. Meg has over 18 years experience gained in a breadth of corporate roles across Brand Management, Finance, HR/Capability and Chartered Accounting. Creative branding and strategy are her jam, and she managed multimillion dollar marketing programs for brands like Schweppes, Red Bull, Cottee’s, SOLO and Pepsi for over ten years. 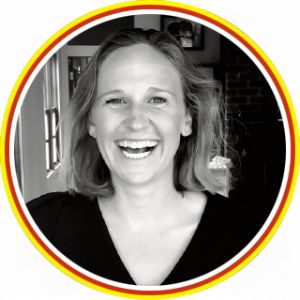 Her most recent corporate role saw her responsible for the training and career development of the entire national marketing team at Schweppes Australia (she tried not to let the power go to her head). In a past life Meg was a chartered accountant, and whilst this fact is not something that tends to float peoples boat at parties, she considers her CA experience her career secret weapon, as it allows her to infuse all her creative advice with a strong dose of commercial reality. Meg is just as likely to talk your ear off about creative campaigns, social media and communication as she is about data, margins, and bottom lines. Since having children, Meg has tested and adapted her big business skills in successfully launching her own start-up personalised kids clothing business – Little Scooch – and on freelance clients in the small business community. Meg is mama to three little legends and a big white dog. She enjoys cruising on her bike, stand up paddle boarding, renovating, wearing too much leopard print, and navigating using bakeries and cafes as key landmarks. Meg is passionate about causes she believes in, and after a death-defying 2017 is currently acting as an ambassador for the Red Cross Blood Bank. She is also assisting with strategy and steering for the Kensington Good Karma Network and previously contributed to local not-for-profit West Welcome Wagon with governance and risk management to support their incorporation process. Anthony and his wife Ali moved to Kensington some years ago now because they really love the community focus in a suburb so accessible to the city. Anthony works in the energy industry as an Engineering Manager overseeing many construction projects on the east coast of Australia. He has strong skills in contractor management, cost control, and is driven by delivering projects efficiently and in a cost effective manner. Anthony grew up on a 300 acre cattle farm in Gippsland and moved to Melbourne after studying Mechatronic Engineering at uni. He brings an abundance of practical skills, he and his son John love rolling thier sleeves up, putting on our tool belts and getting stuck into a good working bee! Anthony enjoys cycling, skiing, hiking and camping, the you may see him on his daily cycle commute to the centre with John in tow. Anthony also enjoys his reignited passion for Lego! Anthony’s family will be part of the KCCC community for many years to come and he plays an active role as a director on the board. Kate and her family have been part of the KCCC community since Jan 2017 since Amelia now in Banksia room joined KCCC in the Yarragum room. Kate has been a valued member of the board since 2018. Kate enjoys helping KCCC achieve its strategic objectives and ensuring it continues to be a leading education and care centre. 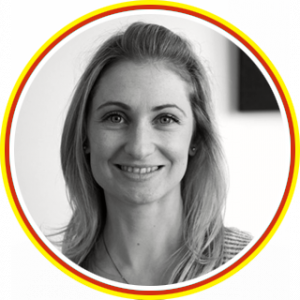 Kate has a background in HR and specialises in organisational culture and driving employee engagement, enhancing organisational effectiveness through diversity and inclusion, strategic planning; and leadership / talent development. She is passionate about the future of work and what this means for childhood education (and upbringing). Kate is a big advocate for KCCC and is grateful for the opportunity to contribute to the board. Kylie has been a Kensington local for 7 years and shares two beautiful children, Charlie (4yrs – Appletree Room) and Abigail (2yrs – Banksia Room), with her husband Alex. Professionally, Kylie has spent the last 16 years in the financial services industry spread across both the private and public sectors. Kylie currently works for one of the major banks and leads the transformation function responsible for improving customer experiences. 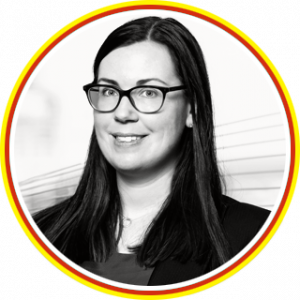 Kylie has spent most of her career in risk management roles and has experience in leading people, managing change, and effective governance and decision making. Outside of work, Kylie enjoys spending quality time with family and friends, especially large gatherings that provide her with an excuse to get creative in the kitchen. After 4 years as a KCCC member, and watching Charlie and Abby thrive in this supportive and creative environment, Kylie has developed a strong appreciation for the important role the Co-operative plays in our children’s lives. The dedicated staff, the community spirit of the members and the learning approach are key ingredients of what makes the KCCC unique. Kylie is passionate about contributing to the board and its forward plans, so that the Co-operative continues to create the best opportunities for our children to grow, have fun and develop their own unique identities. Contributing to the KCCC board is a wonderful opportunity to be involved in your child’s service. The Board is responsible for directing, influencing and monitoring the organisation’s business. The board is ultimately responsible and legally accountable for determining the purpose (or mission) of the organisation the continuity of the organisation setting the organisation’s rate of progress in reaching its mission establishing the identity of the organisation by securing community support and appreciation for the organisation’s purpose and long- term direction. Being part of the KCCC is very rewarding in many ways. What are the benefits of being a not-for-profit board member? In 2018 the board will be recruiting to several casual positions on the board. If you are interested in joining the board, please contact Sigi Hyett, the General Manager or update/complete the skills register if you have not already done so to express your interest.